A number of recent articles have highlighted concerns around total loss vehicles and how they are handled by Insurers, Salvage Agents and Buyers. Questions about vehicle categorisation, vehicle sales and vehicle disposal have appeared in various trade magazines and publications such as ATF Professional, The Assessor and more. Disposal of accident damaged vehicles has been a concern for many years, and was the reason for the introduction of the Association of British Insurers Code of Practice for Motor Salvage in the 1990’s. This voluntary code was designed and completed by the Insurance Industry to protect themselves against fraudulent activity that involved written off vehicles, and for many years was a very effective document. Questions are now being asked about the Code and how relevant it is today. I contend that it is still very relevant and there are 2 actions that need to be taken to restore credibility. Changes need to be made to categorisation, with category C vehicles to cater for repairable vehicles with structural damage and category D being available only to repairable vehicles without structural damage. The Code must be enforced, with significant fines being applied for Insurers and Salvage Agents that fail to adhere to the code. Legislation is unpredictable, it could be great for the industry if it is well thought out and sensible, or it could be a knee-jerk action that results in significant changes and difficulties for the UK Motor Salvage industry. New technology is coming into vehicles all the time, advances in structural techniques, electronics and vehicle power are making vehicles more and more complicated, and failure to deal with these vehicles properly could result in serious injury or death if one of these vehicles is not repaired correctly and fails to perform as intended in the event of another serious incident. Industry professionals must get together and resolve this, and quickly - Insurers, Salvage Specialists and Government Agencies all need to be involved with a deadline for resolution; at the same time Insurers must be seen to put their own house in order, open their processes and records for independent auditing, salvage agents must do the same, and Government Agencies must release records showing volumes of vehicles exported, scrapped, back in use, and missing, as well as start showing serious progress on illegal vehicle recyclers - either getting them licensed or out of business. Is this not too much to ask? How do we make more profit? So we need other methods. More motivated and committed staff who will be more efficient, prouder and more loyal could be one option. 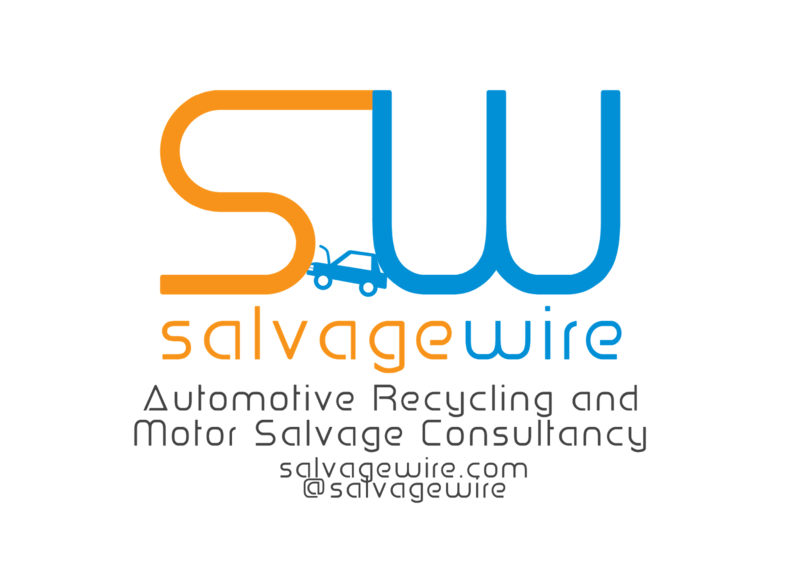 Salvage Wire's latest training course specifically designed for Leaders and Managers in the Auto Recycling and Motor Salvage Industry could be just what you are looking for. This one day course will give an insight into how different management practices can have a significant impact on the whole business, making it a better place to be, more profitable efficient, safer and a business that will attract customers. 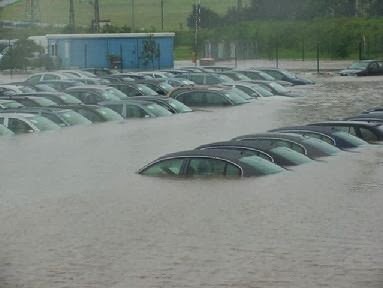 As the flood waters recede the clean up begins, engineers, claims staff and colleagues have all been on the phone in recent days asking my opinion on flood damaged vehicles. Before going any further, assess the type of water and the water level inside the vehicle. Fresh water (and given the volume of flood water any contaminants will be so diluted that there will be very limited risk of contamination), if the water reached airbag level then break the vehicle, but if it was low level flooding then consideration can be given to selling the vehicle as repairable salvage. Good engineering practices must be used at all times to assess flood damaged vehicles, taking into consideration the age of the vehicle, type of construction, major component damage, possible electrical issues, and if any of the Supplementary Restraint Systems (SRS) components have been flooded. Most of these vehicles will appear relatively undamaged to the casual observer and they are ripe for fraud, so great care must be taken when selling flood damaged vehicles - specially category B cases. The ABI Code of Practice for Motor Salvage states that Category B (break only) vehicles should be dismantled and destroyed, however we see many of these vehicles being sold to overseas customers at prices that UK customers cannot afford, and this raises many questions. 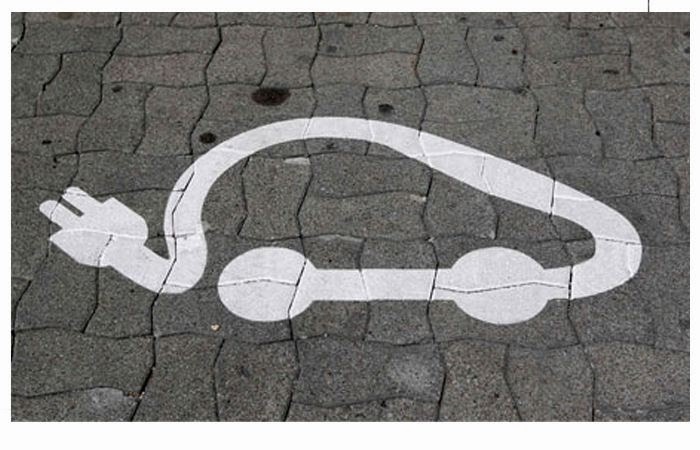 How can a customer in Eastern Europe afford to pay so much for these vehicles and make a profit? Are these customers being audited to ensure the vehicles are dismantled and destroyed? What is actually happening to these vehicles? This is a serious concern because we are talking about the safety of driver and passenger. If these vehicles come back into use, or sections of the vehicle are used to repair another, or SRS components are re-used and fail to work correctly if the vehicle is involved in another accident, then who is liable for the death or serious injury of the driver and passenger of the vehicle? I don’t have the answer, but I believe that all Insurance Professionals should be concerned about this and I suggest that there is possibly a Duty of Care on UK Insurers to audit these vehicles to ascertain compliance to Terms and Conditions of purchase, ABI Code of Practice etc. It only takes one vehicle to hit the headlines and there could be a knee-jerk reaction that will have a negative impact on the Auto Recycling industry. 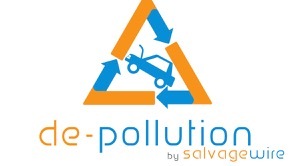 Salvage Wire can assist in the correct and ethical disposal of flood damaged vehicles, call or e-mail for more details. 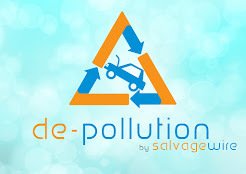 Designed specifically for Auto Recycling Yards, Salvage Wire are delighted to announce a training course that gives staff the expertise and knowledge to safely handle Electric and Hybrid vehicles without putting themselves or others at risk of electrocution. 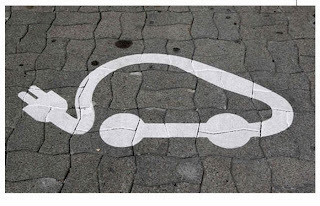 22nd Jan at Car Transplants, the training will be a mix of practical and theory, it is fully interactive and led by a trained Electric and Hybrid Technician. The cost is £225 +VAT for the one-day course, which includes all training materials and lunch. There are discounts for MVDA and BVSF members. Contact Salvage Wire at www.salvagewire.com for more details or to book your place(s) on the course.